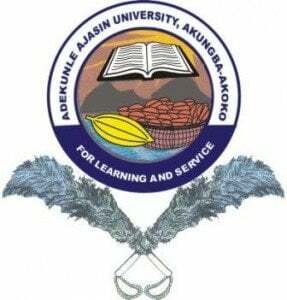 Get the number of candidates qualified to participate in the Adekunle Ajasin University, Akungba-Akoko, AAUA post UTME screening exercise for the 2015/2016 academic session. Updates: AAUA Post UTME/DE Form, Registration Guidelines – 2015/16. Based on the performance index released by the Joint Admission and Matriculation Board (JAMB), we present our readers who are prospective students of the Adekunle Ajasin University, Akungba-Akoko (AAUA) the number of candidates qualified for the institution post UTME screening exercise. AAUA last cut-off mark was set at 180. So if AAUA should go with 180 this year again, below are the statistics of candidates eligible to participate in the university post UTME screening exercise. Pls what ςάή I do I chosed histroy and internationl relationship,and since ᵐ̲ʸ̲ putme score Was changed from 74 to 52, and †нє cut off mark for ᵐ̲ʸ̲ preffered course is 55….pls what ςάή I do ? Σάή aaua still offer me admission ? @johnbosco, go for change of course. @johnbosco, some inconsistency may be corrected. my putme result is 50%,,utme 200,course: philosophy. have not been offered admission while a friend that scored 188 in jamb,putme 50% course: industrial chemistry has been offered admission.my ques is ‘could that information be true’? @temmy, wait for subsequent admission lists. pls,how true is it that the first list is for science courses only and that 75% of the admission goes to science students. @ temmy, not true. The first list contains names of candidates admitted into all faculties of the institution. i heard that aaua 2014 admission status is out this morning…..pals how true is this? @samzy, it’s real. Click here to confirm that. @adewole, the cut-off mark is yet to be announced.